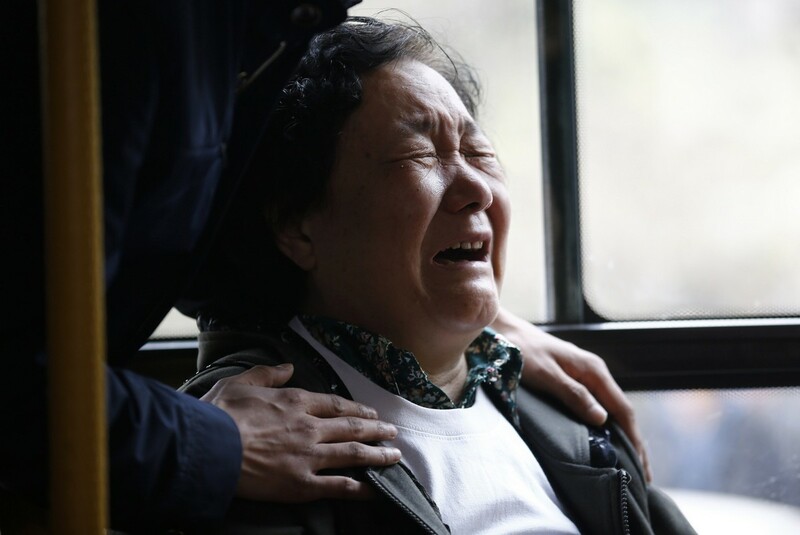 FURY: (Above) A family member of a passenger aboard Malaysia Airlines MH370 shouting at journalists after watching a television broadcast of a news conference, at the Lido hotel in Beijing. 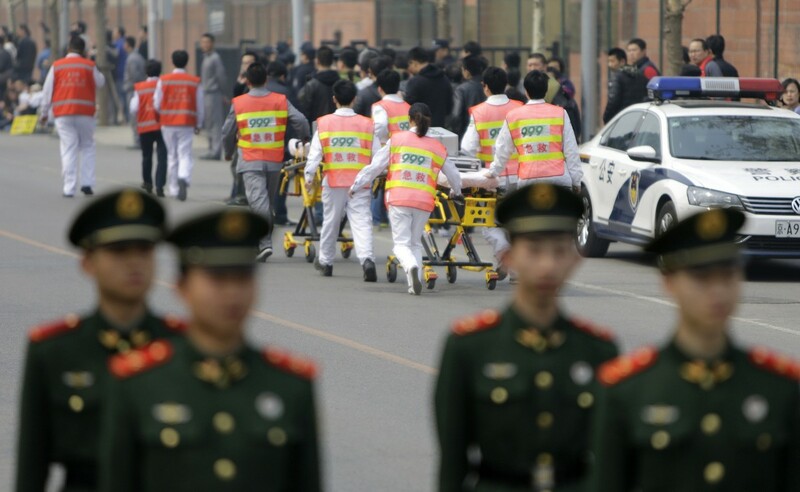 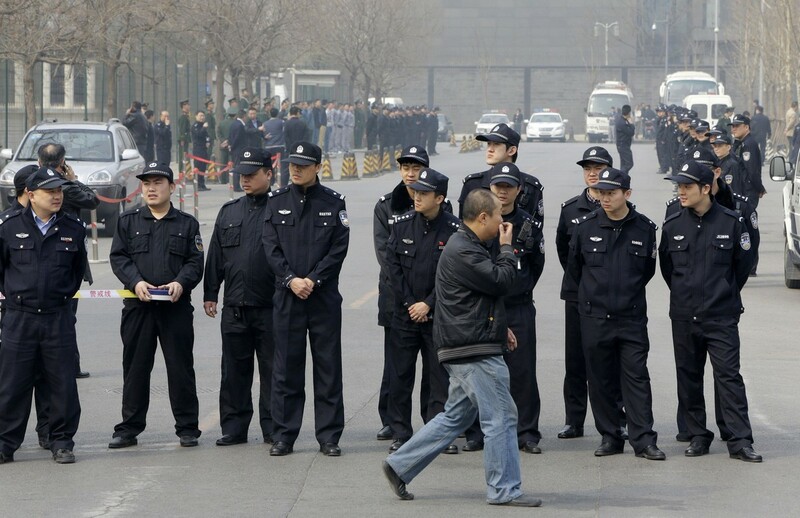 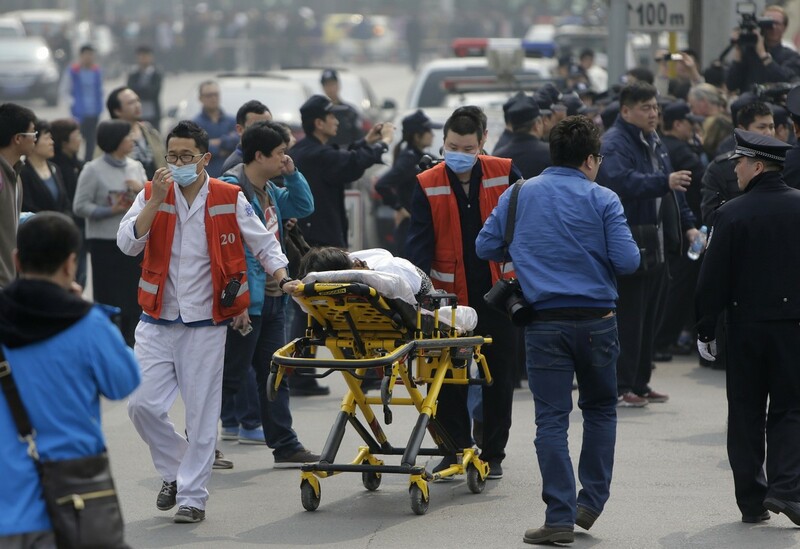 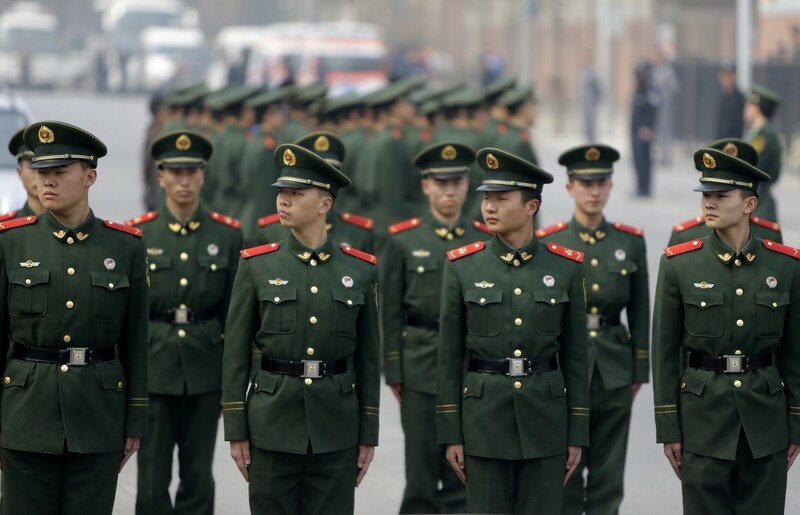 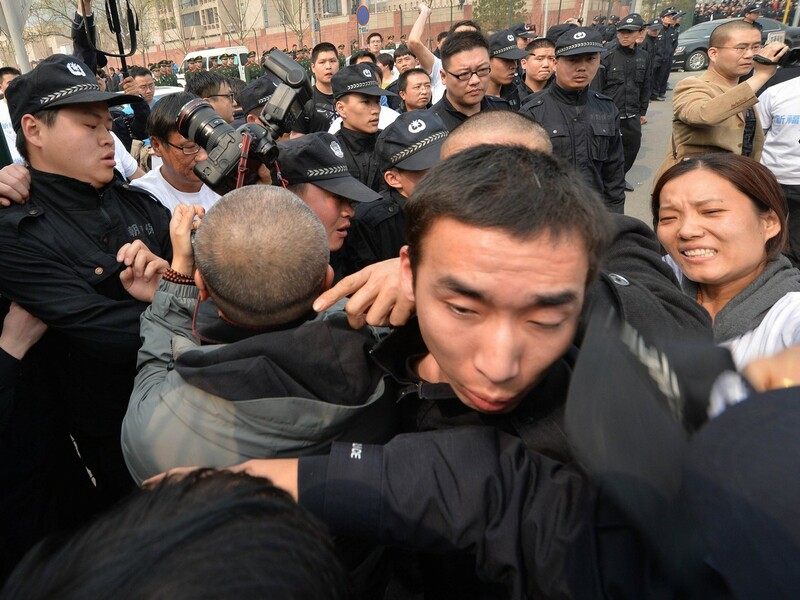 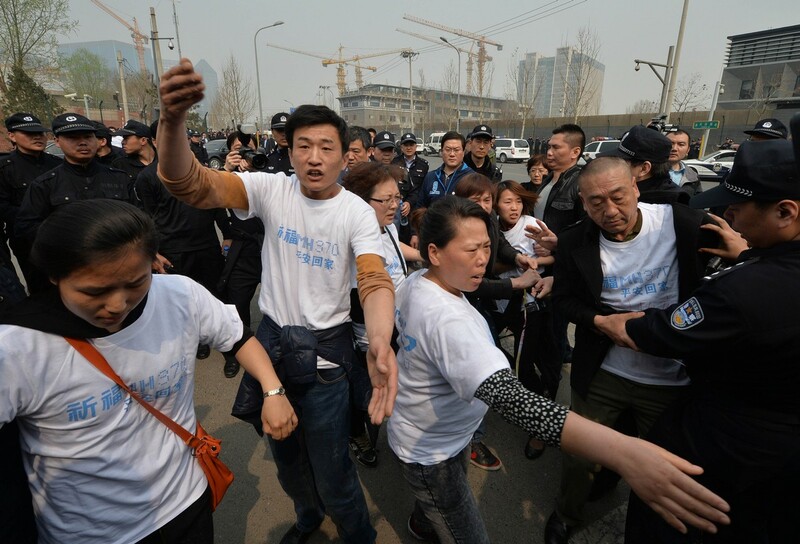 Dozens of angry relatives of the passengers of flight MH370 clashed with the police in Beijing on Tuesday, accusing Malaysia of "delays and deception". 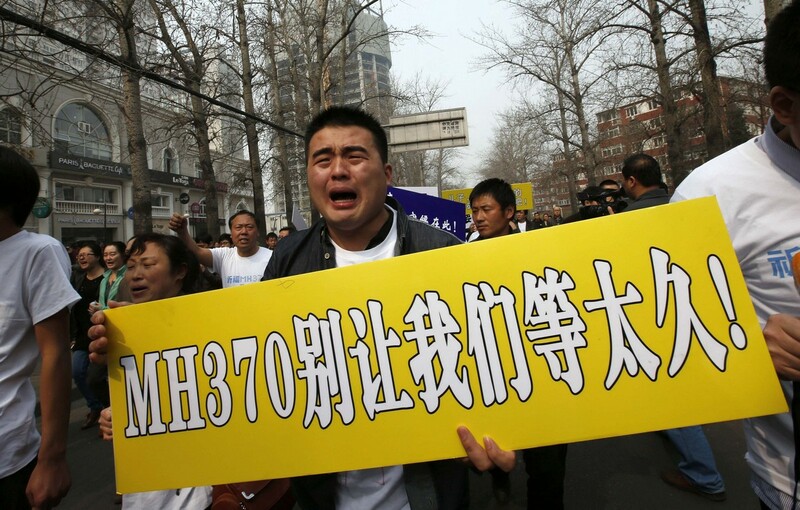 It comes a day after Malaysia confirmed the plane crashed in remote seas off Australia. 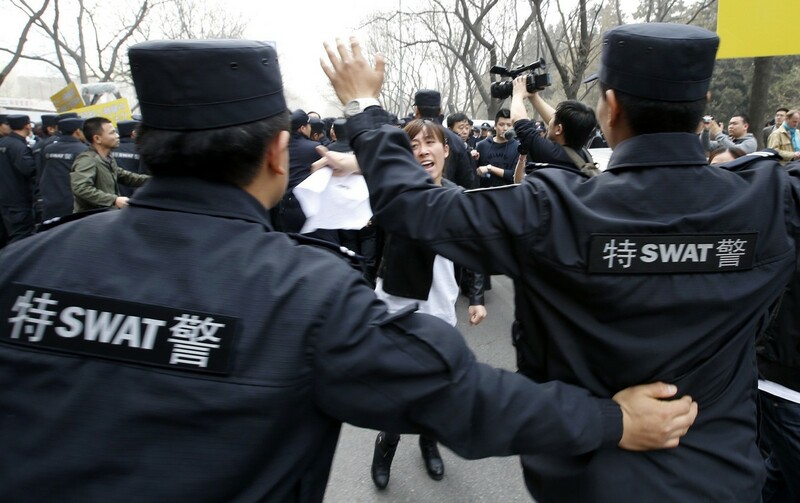 About 20 to 30 protesters threw water bottles at the Malaysian embassy and tried to storm the building, demanding to meet the ambassador, witnesses said. 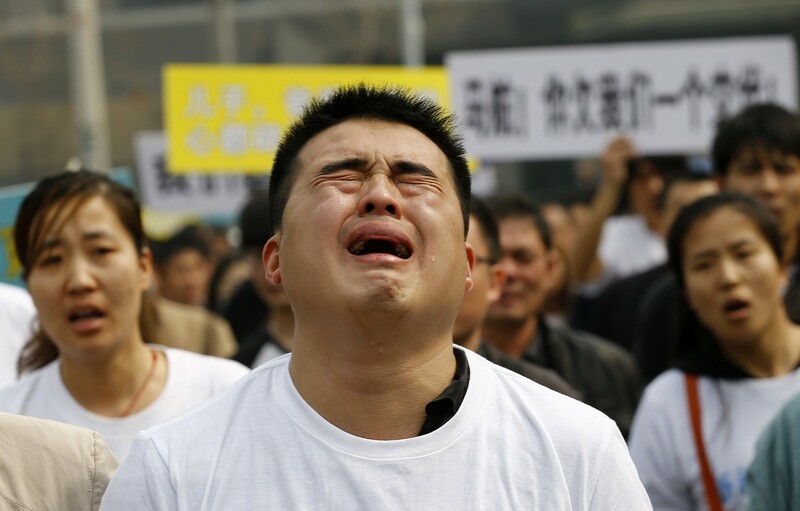 Earlier, the relatives, many with tear-stained faces, had linked arms and chanted "Malaysian government has cheated us" and "Malaysia, return our relatives" as they marched peacefully and held banners, Reuters reported. 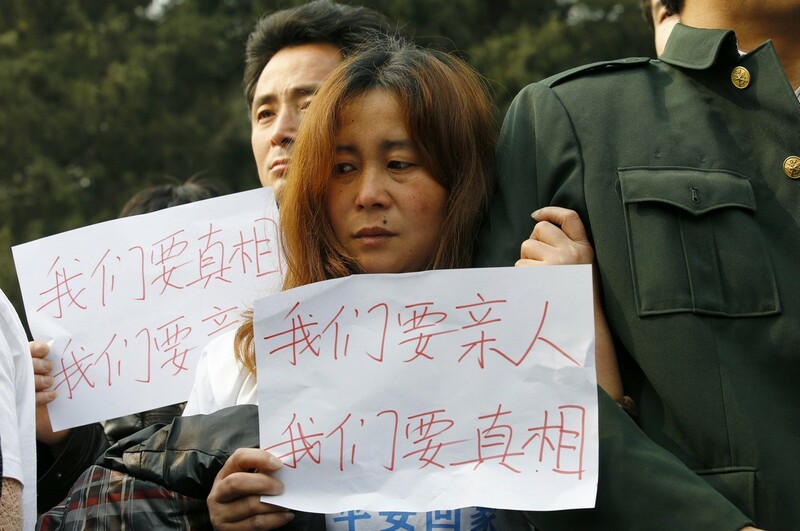 Malaysia's confused initial response to the Boeing 777's disappearance and a perception of poor communication has enraged many relatives of the more than 150 Chinese passengers and strained ties between Beijing and Kuala Lumpur. 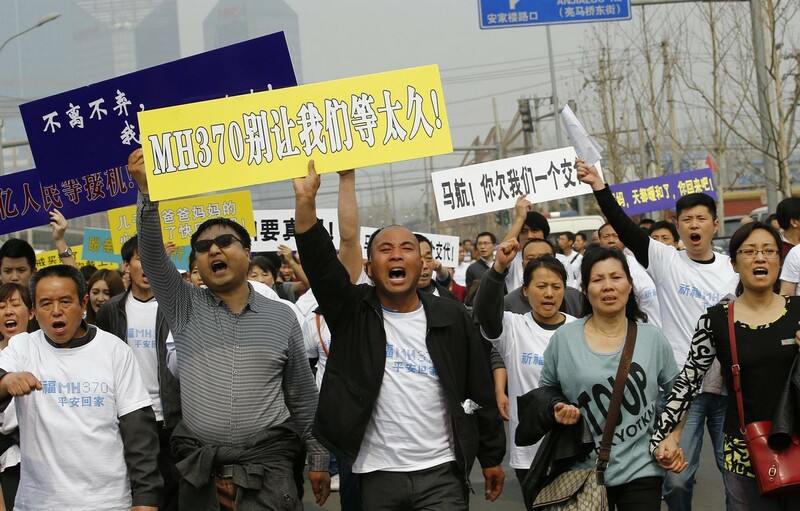 After Malaysian Prime Minister Najib Razak's announcement, Chinese Deputy Foreign Minister Xie Hangsheng demanded that Malaysia hand over all relevant satellite analysis showing how it had reached its conclusion about the fate of the jet. 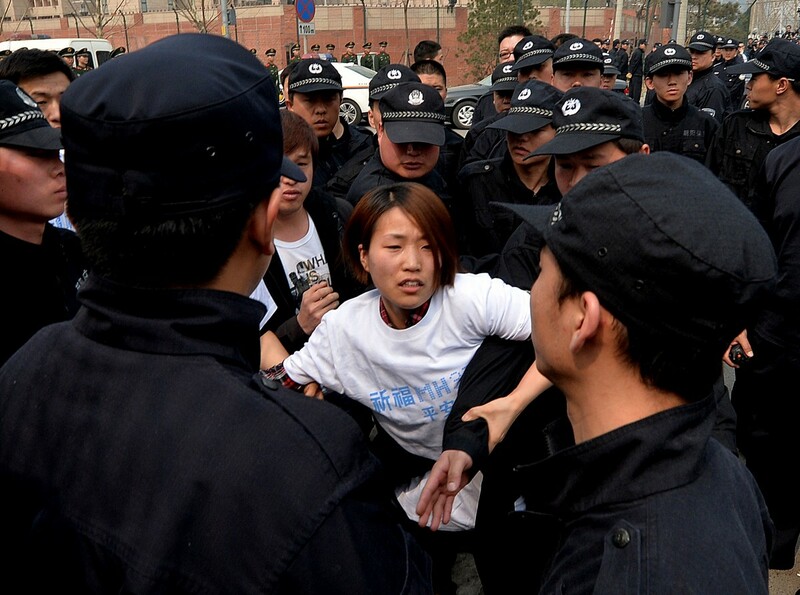 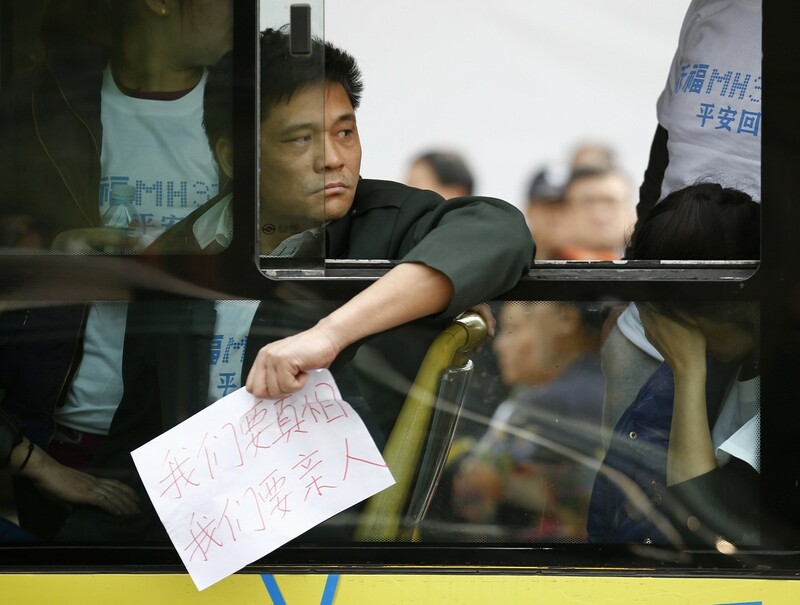 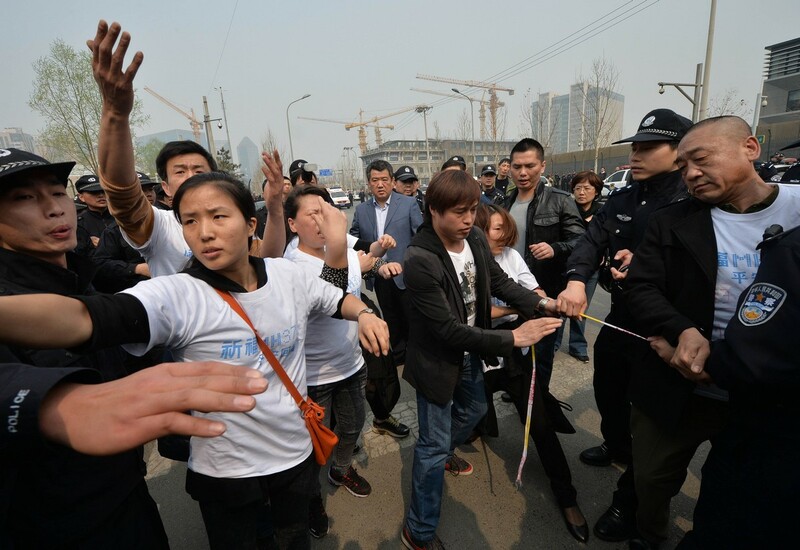 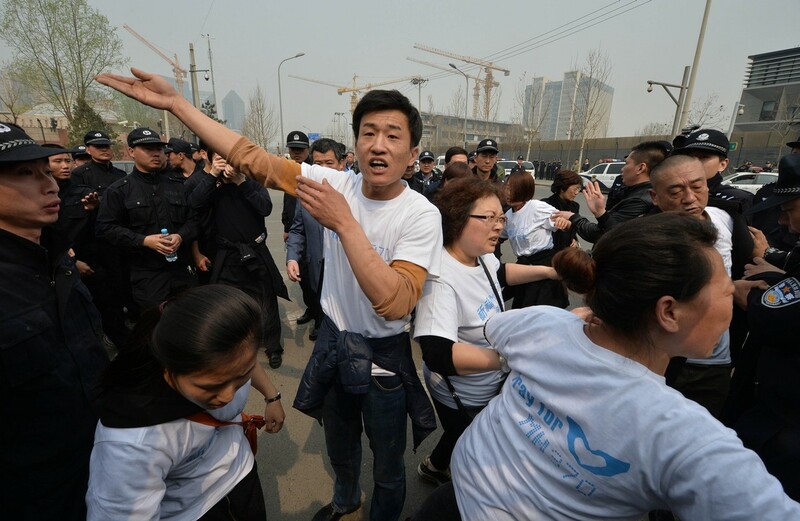 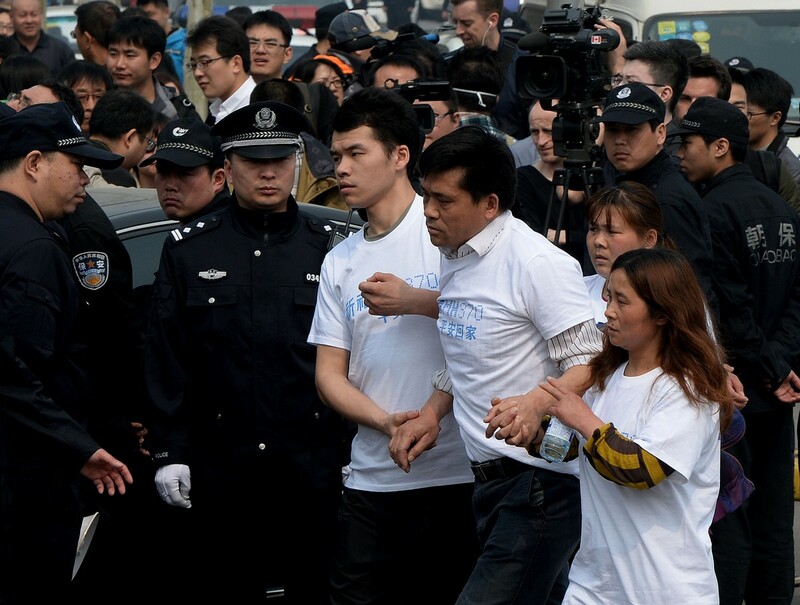 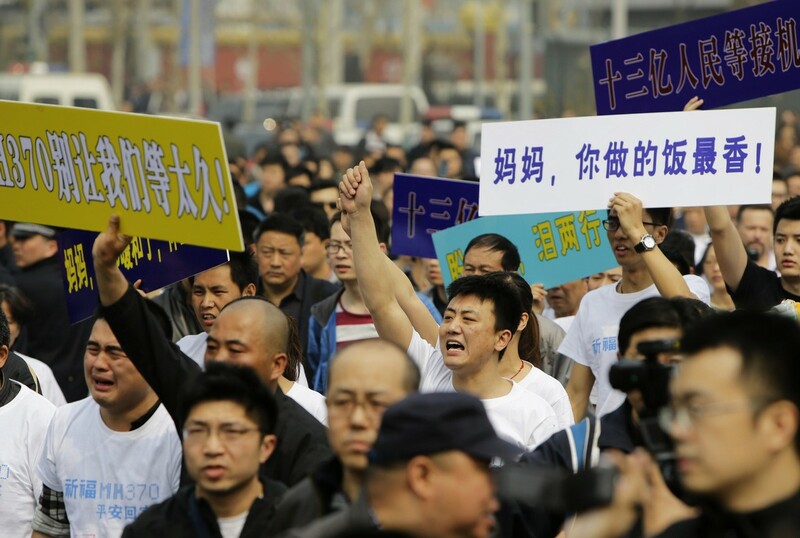 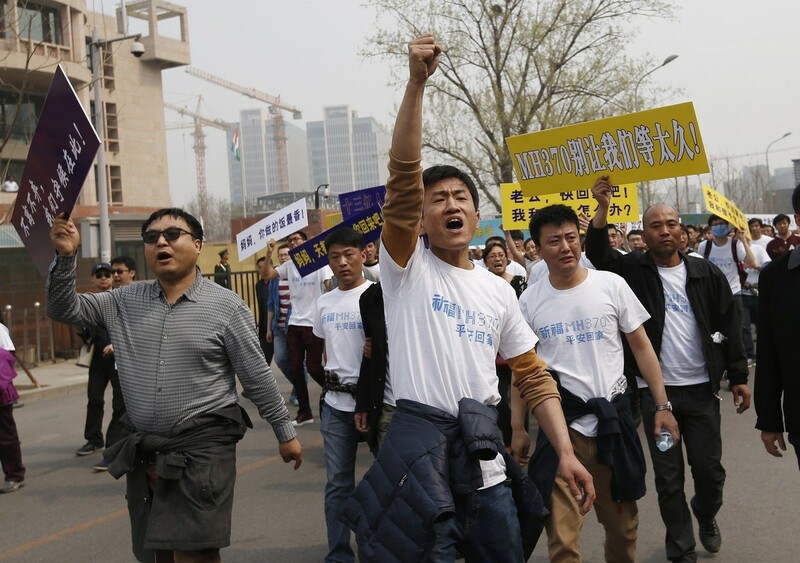 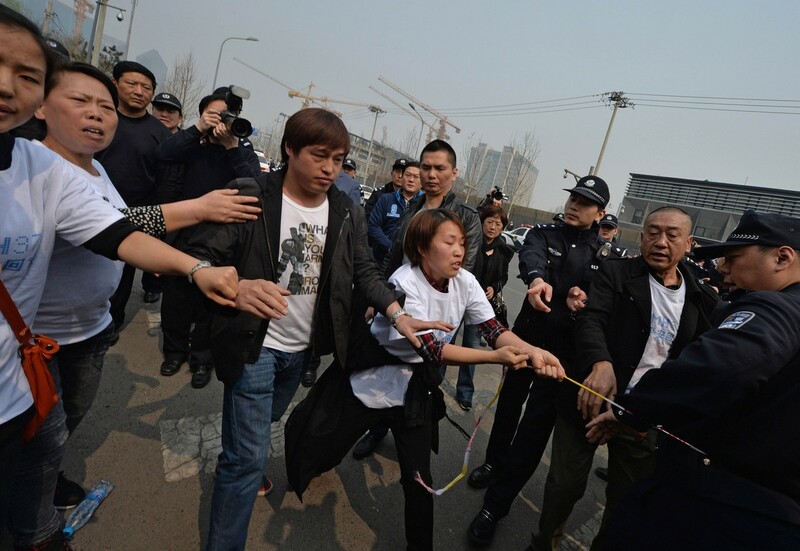 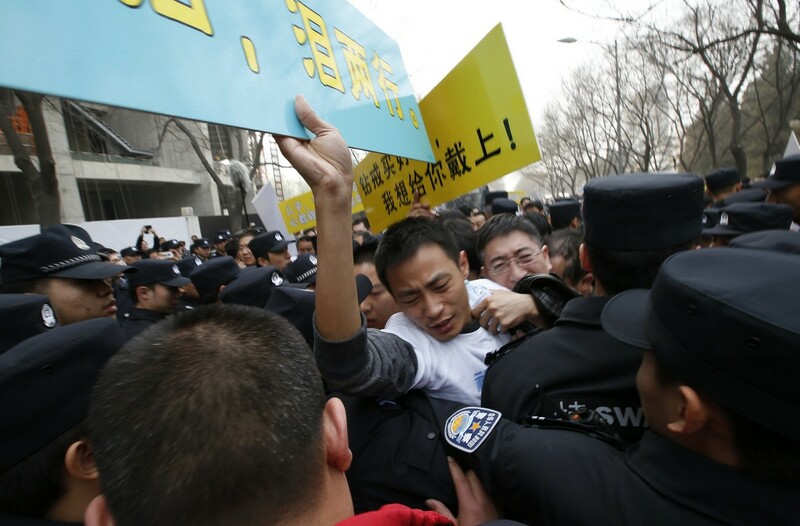 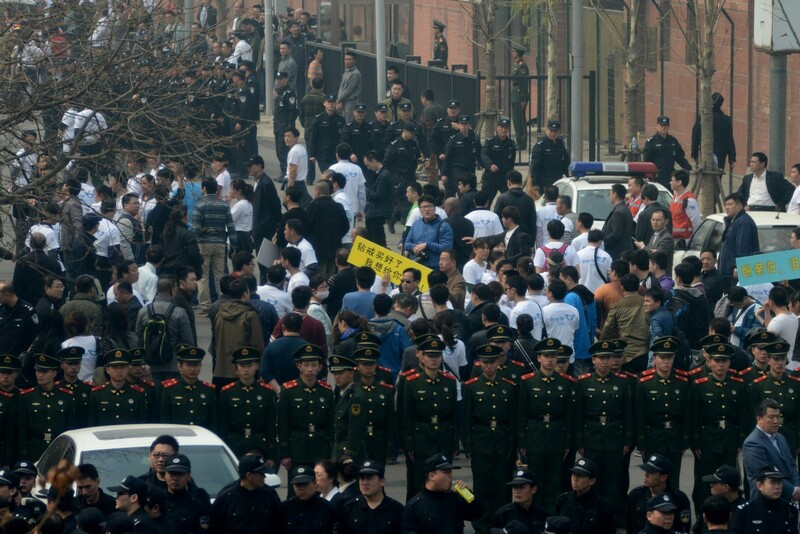 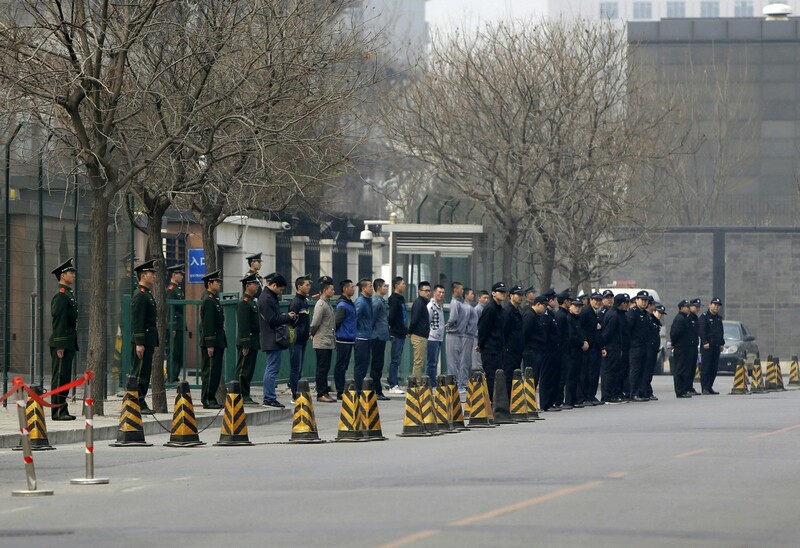 The relatives protesting in Beijing held signs that said: "MH370, Don't let us wait too long!" 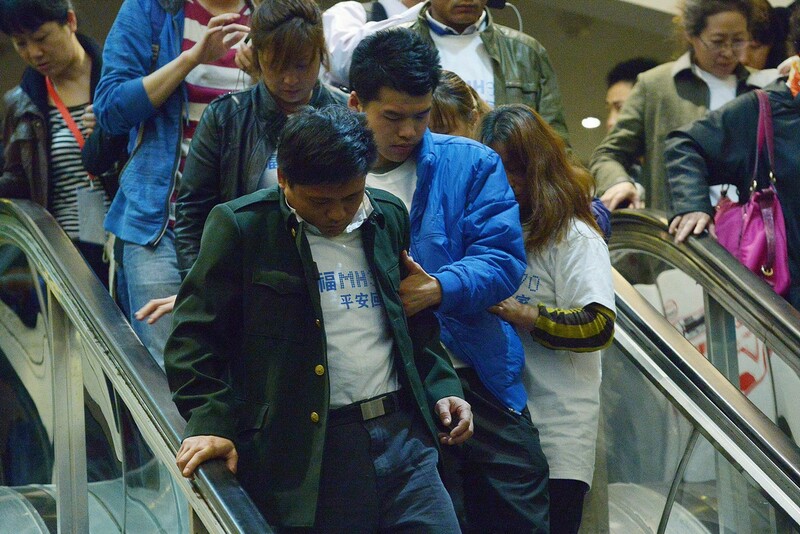 and "1.3 billion people are waiting to greet the plane". 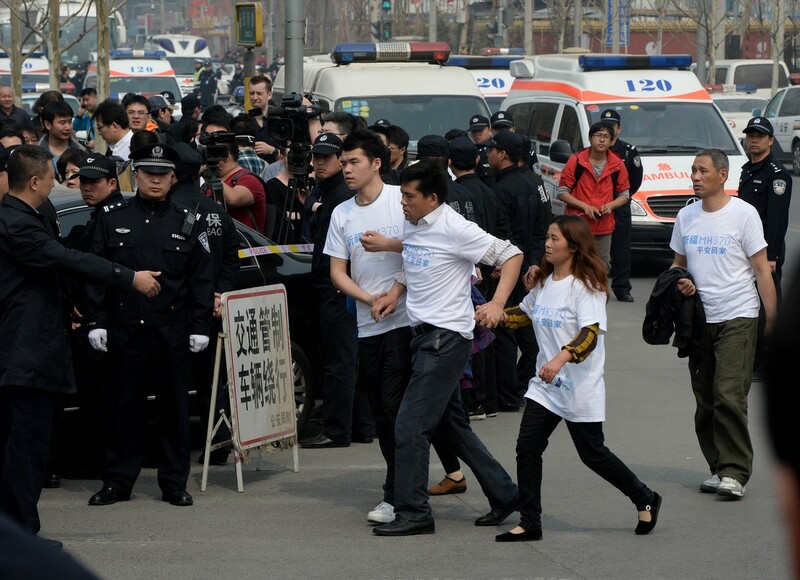 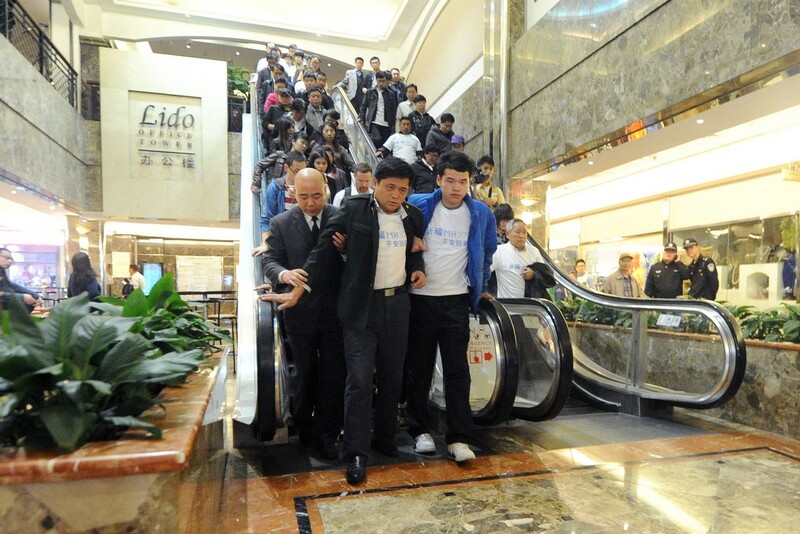 They wore matching T-shirts that said: "Best of luck to MH370, return home safely." 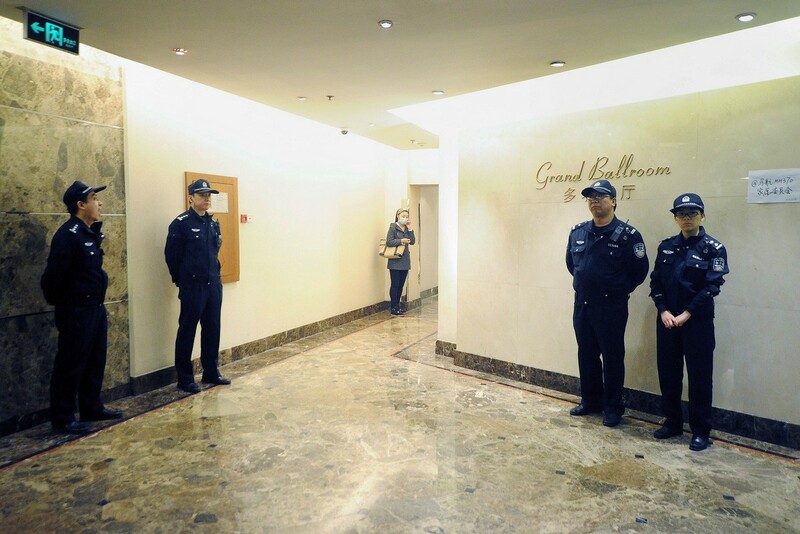 Mr Najib had said British satellite company Inmarsat had performed further calculations on data gleaned from faint pings picked up by satellite that initially only narrowed the search area to two massive arcs. 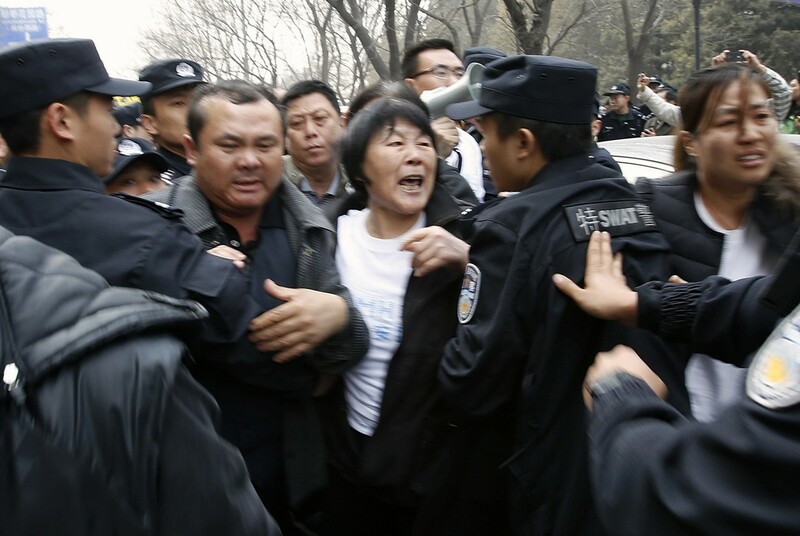 That was not enough for some relatives. 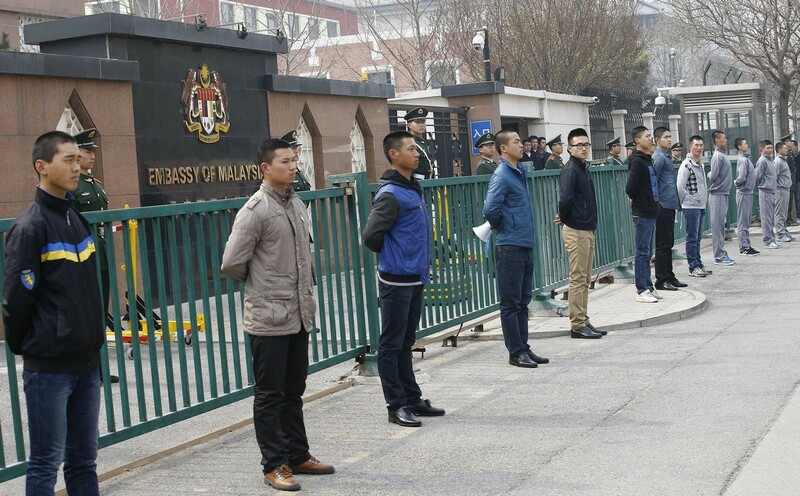 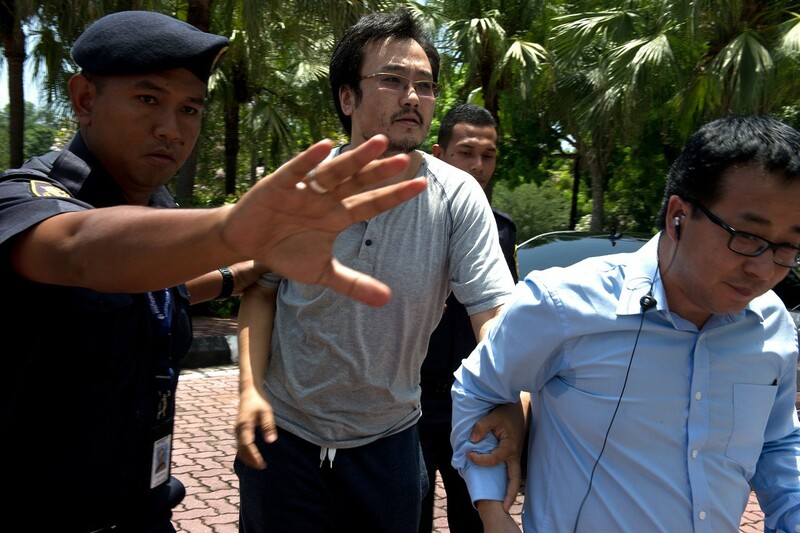 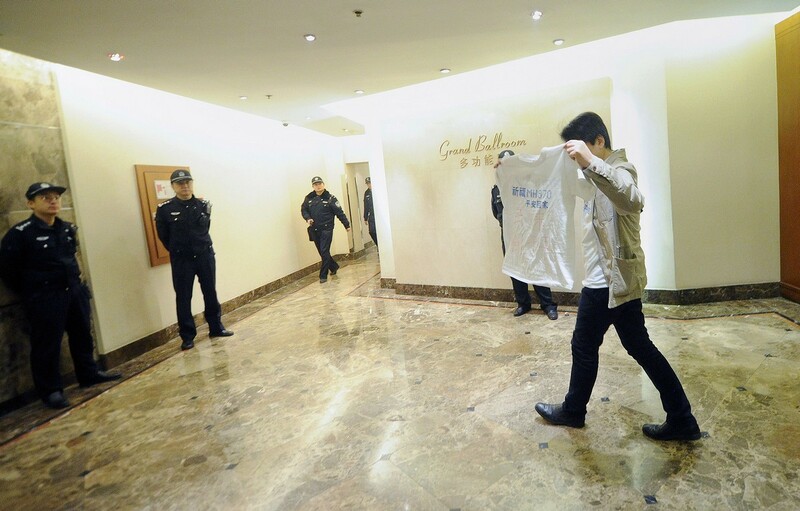 "There was no evidence," a protester at the Malaysian Embassy surnamed Wang told Reuters. 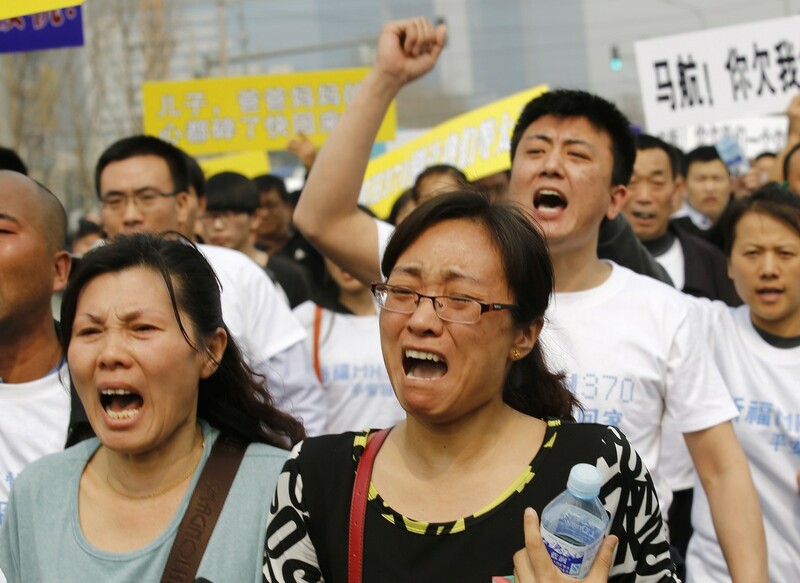 "It was just based on analysis from the satellite data and nothing found. 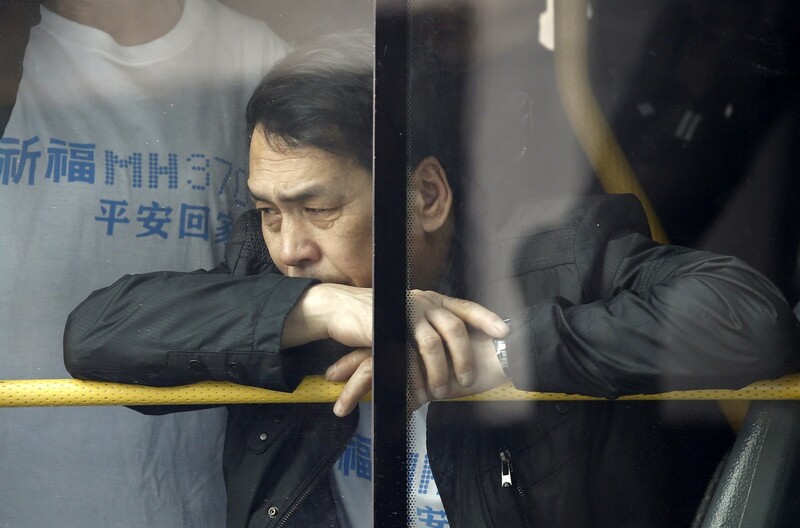 Why would we believe it?" 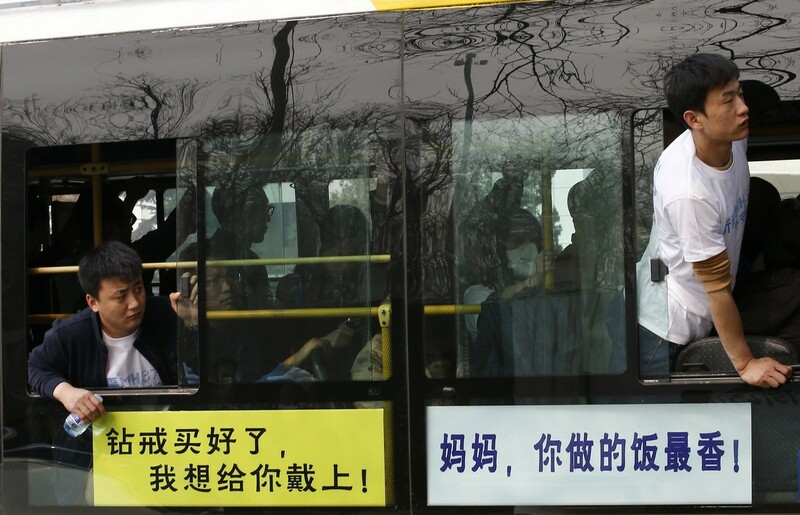 The demonstration ended after a few hours, when police told protesters to get on buses and escorted them away.